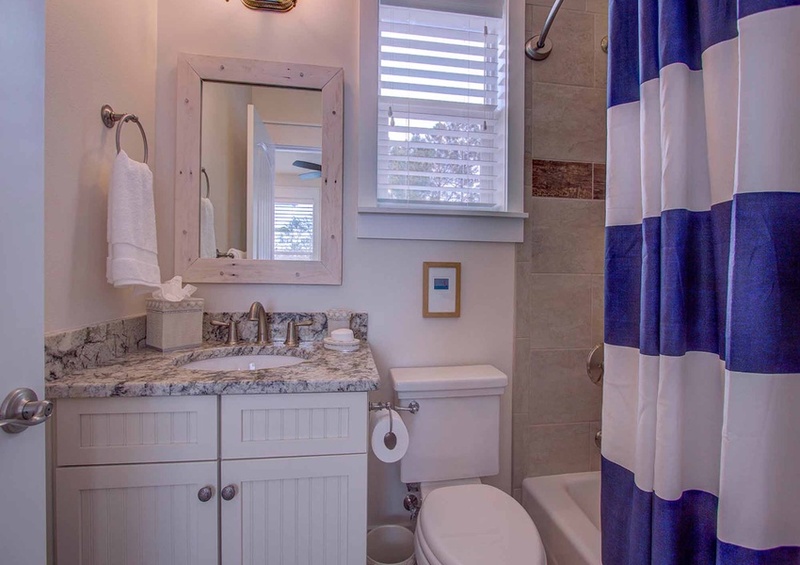 Turn your phone off, unplug and slip away to an abode of relaxation and restoration at Knot on Call. 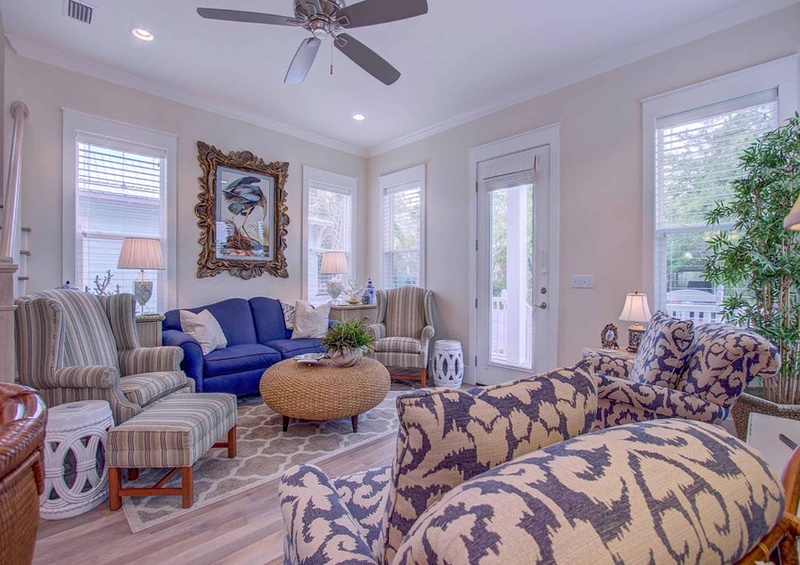 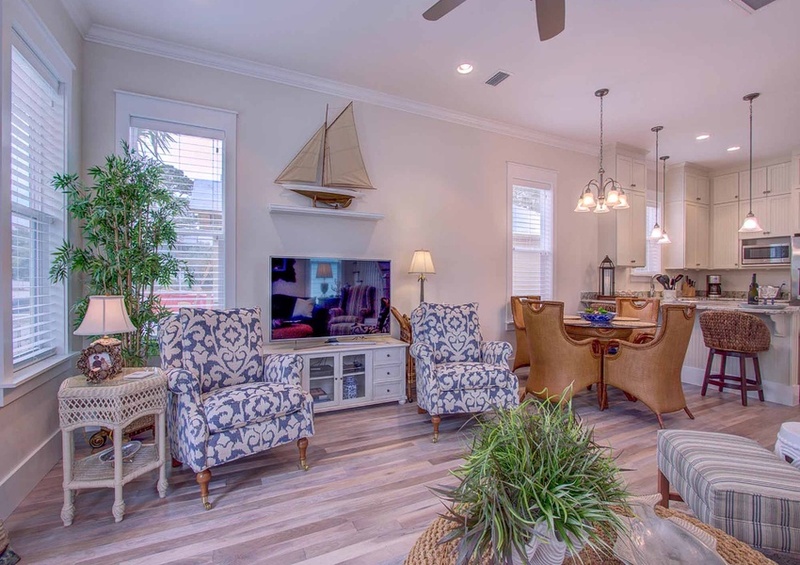 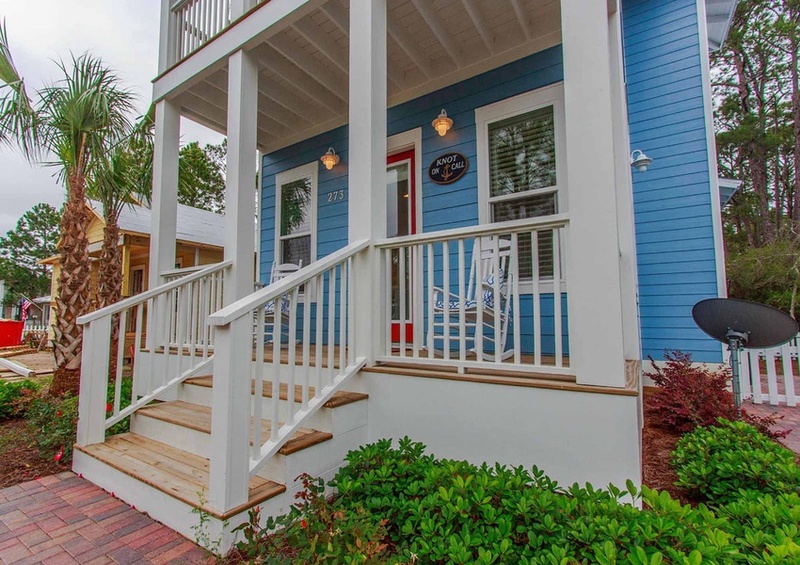 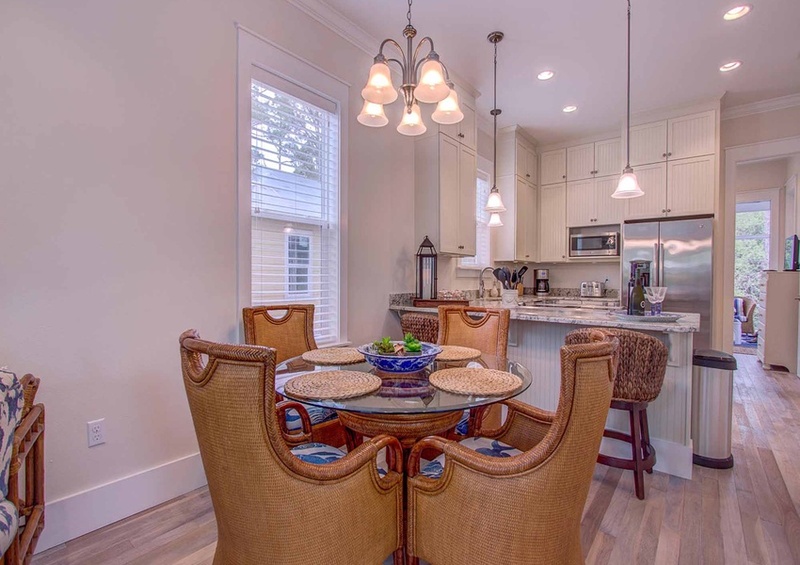 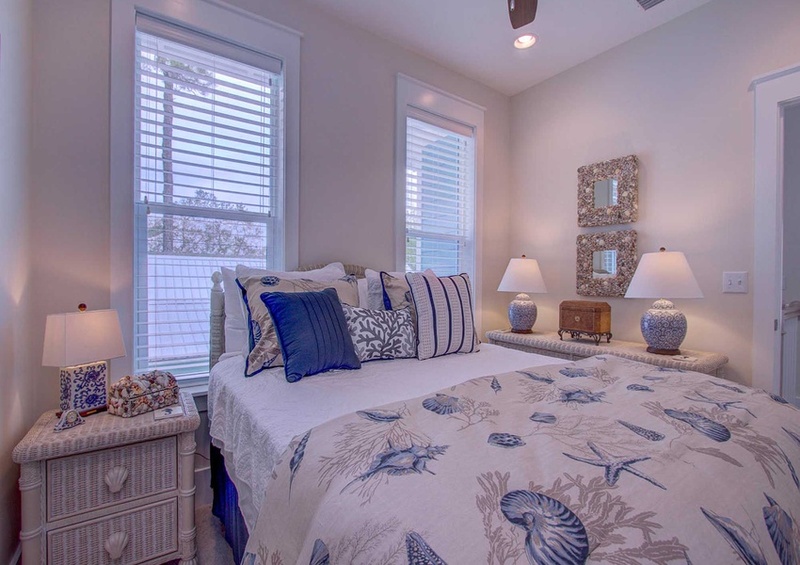 Located within the quiet Cassine Village community, this Scenic 30A vacation home will give you a dream vacation. 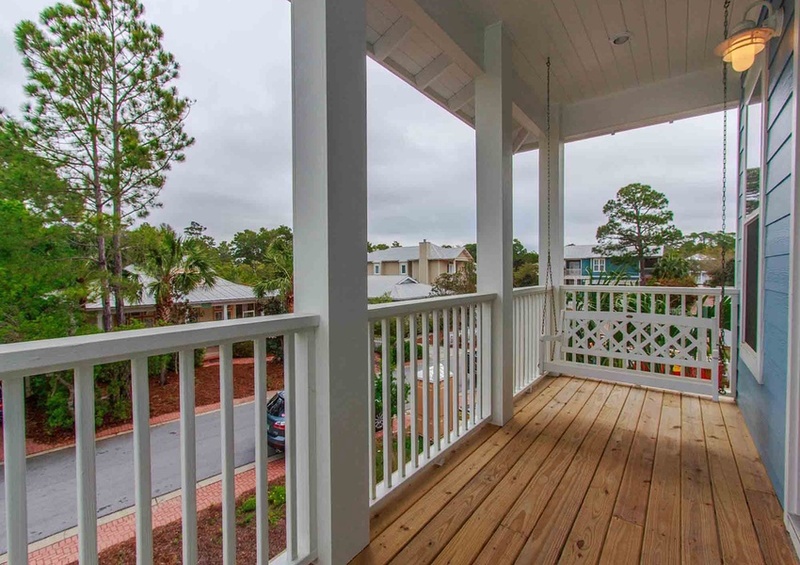 Pull on to the cobblestone driveway at Knot on Call and admire the charm of this vacation home, with two open-air balconies and bright red doors. 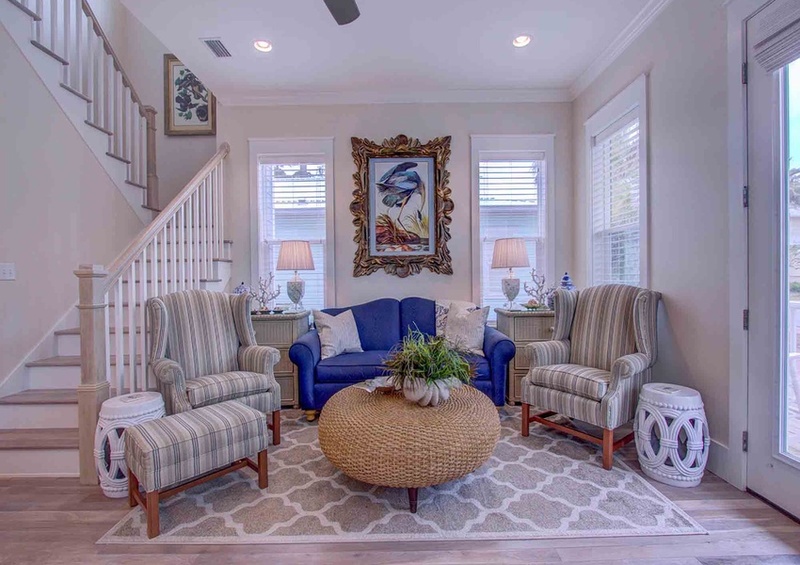 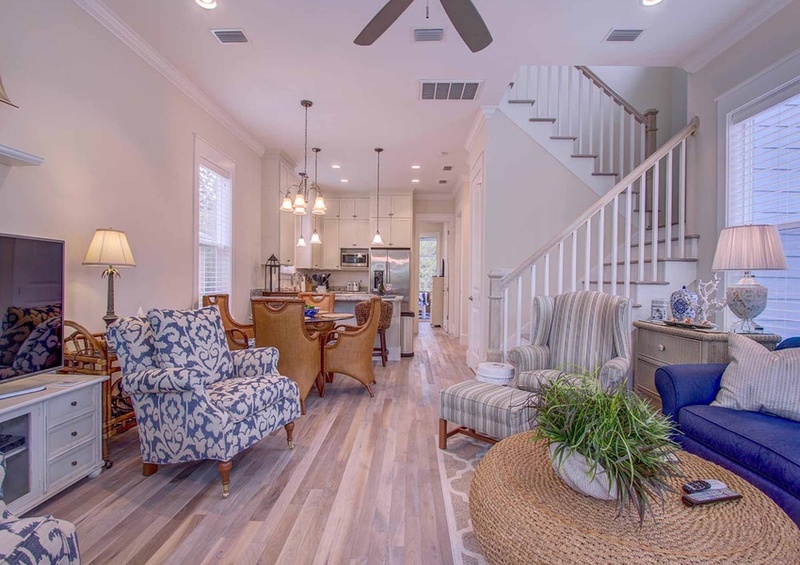 From the exterior to the interior, you will enjoy coastal décor with hues of blue, reminding you exactly why you came to Knot On Call: the beautiful Gulf of Mexico. 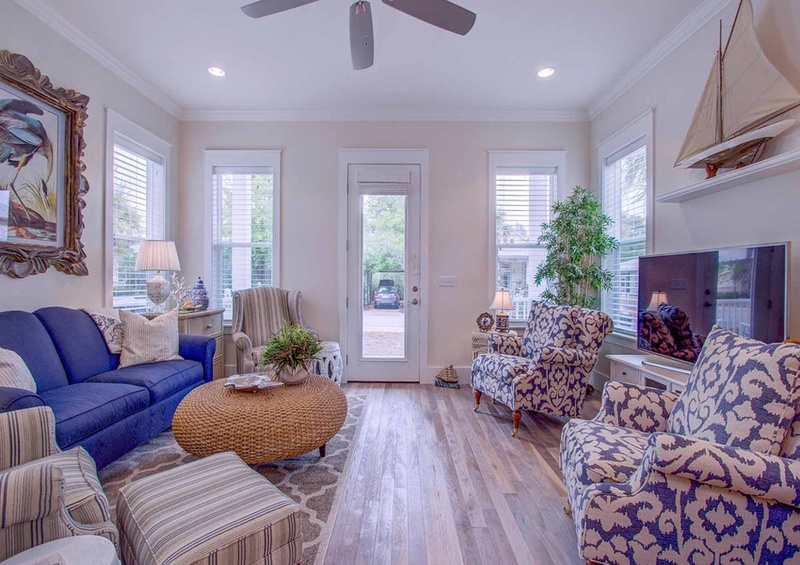 On the first floor of Knot on Call, find the main living areas including the living room, dining room, fully-equipped kitchen, and access to the screened-in porch. 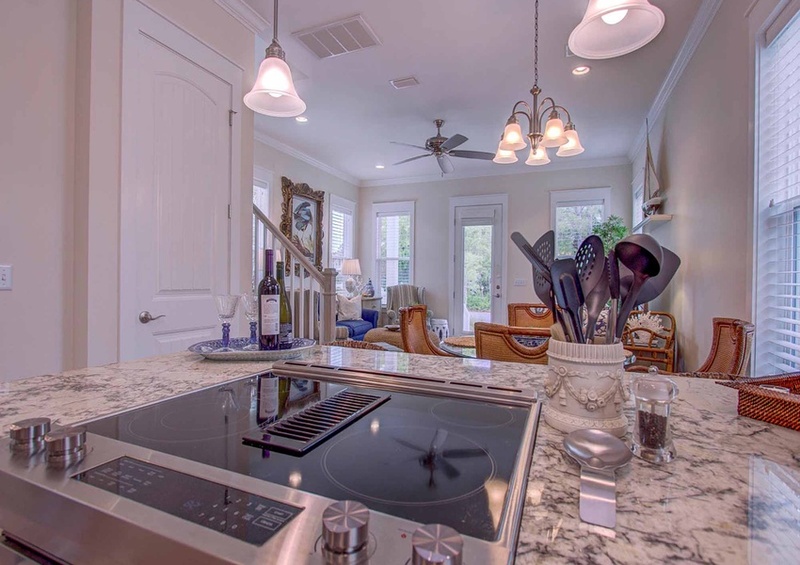 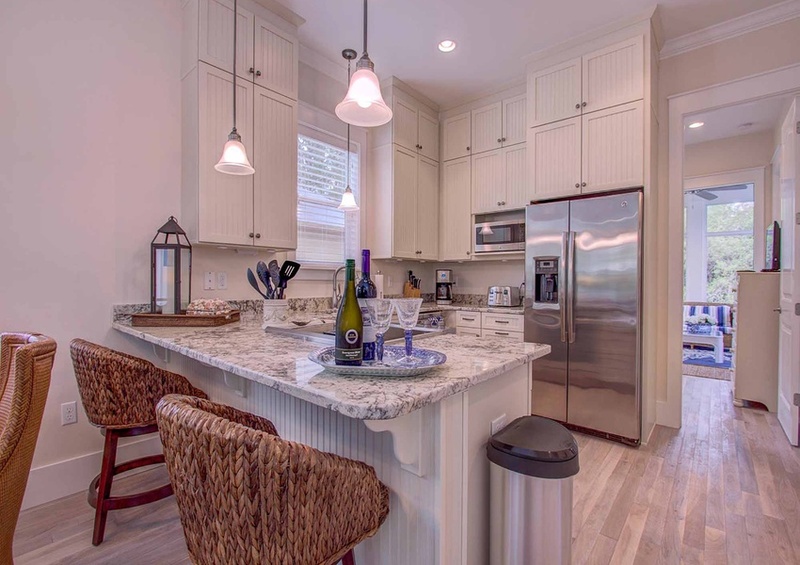 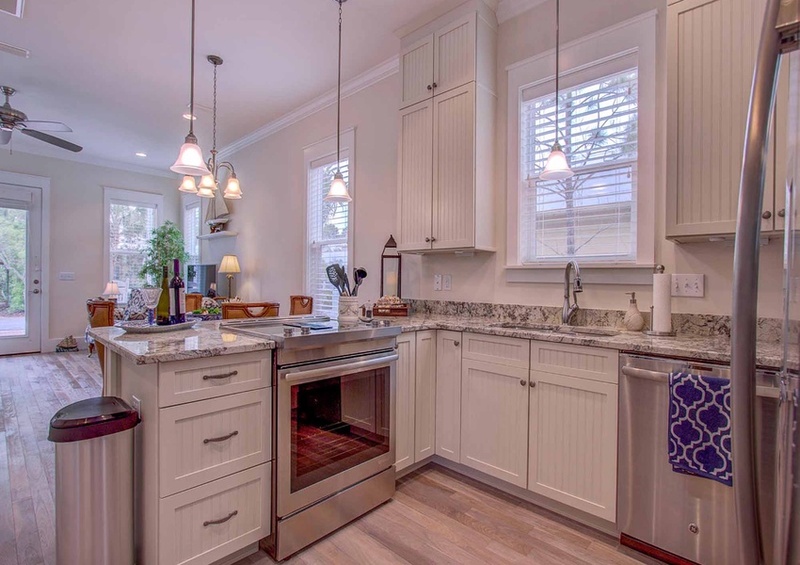 The fully-equipped kitchen is decorated with marble countertops and stainless-steel appliances. 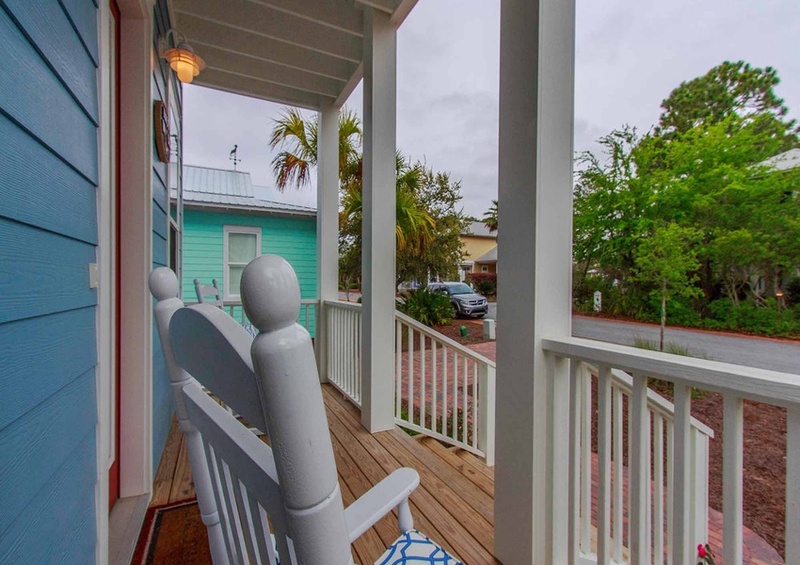 Meanwhile, the porch features comfortable furniture and views of the private neighborhood lake. 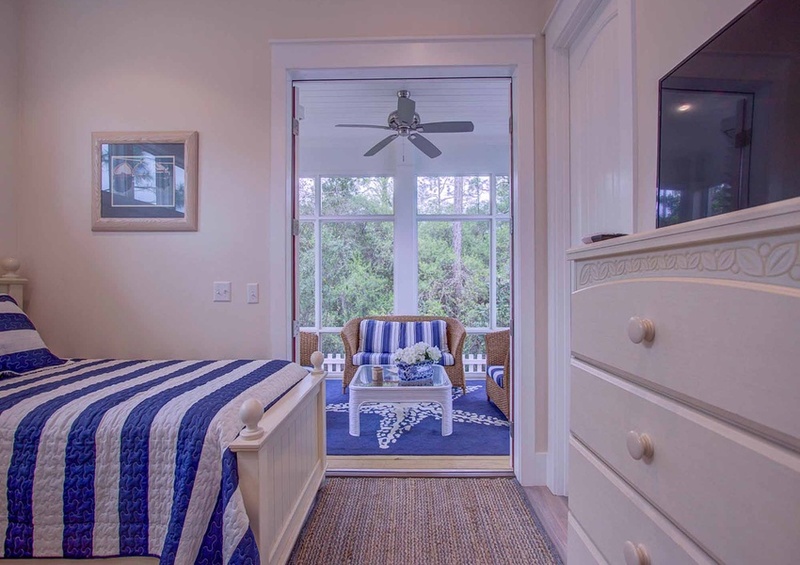 Additionally, you will find the third bedroom with direct access to the screened in porch. 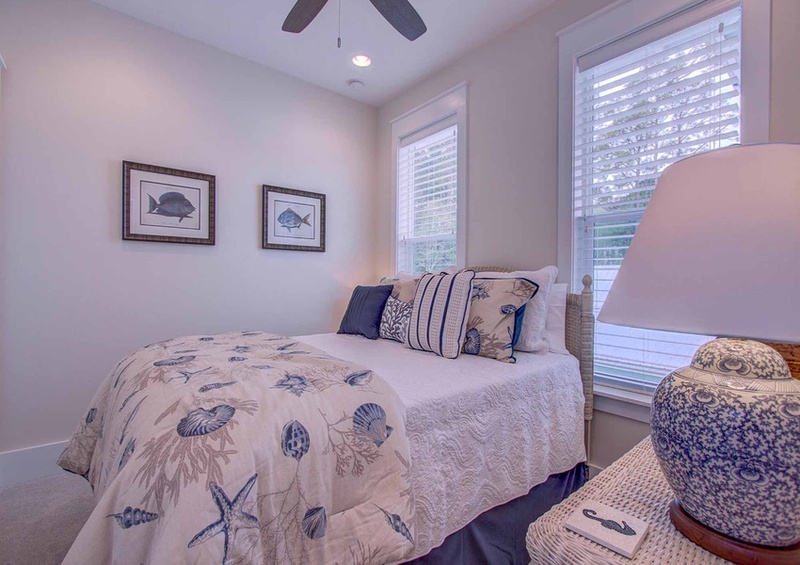 Head up to the second floor and discover the en-suite master and second bedrooms. 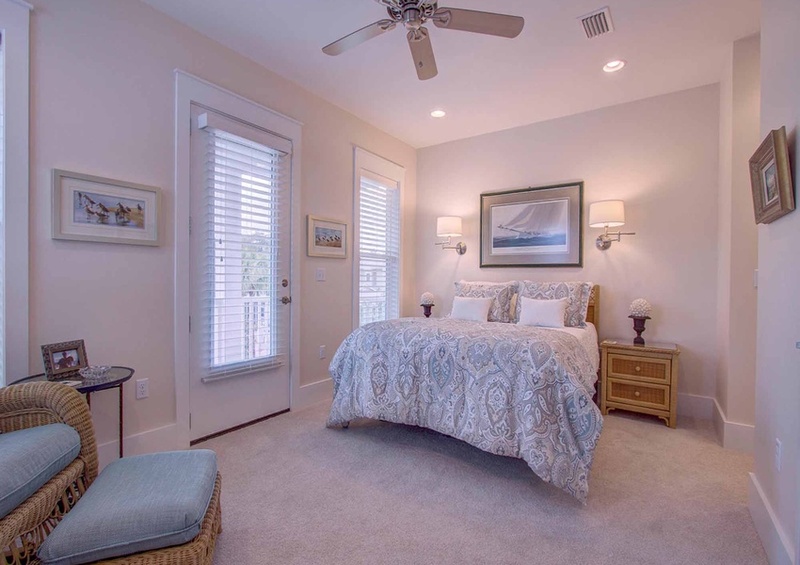 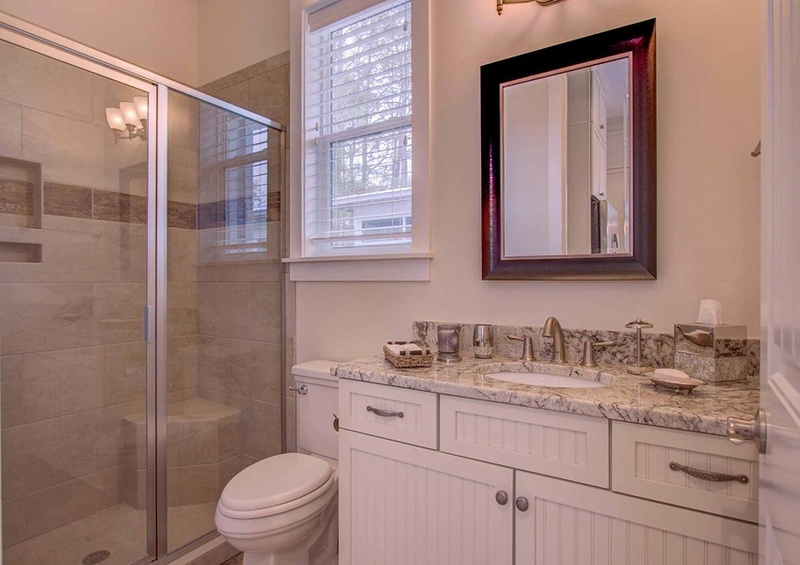 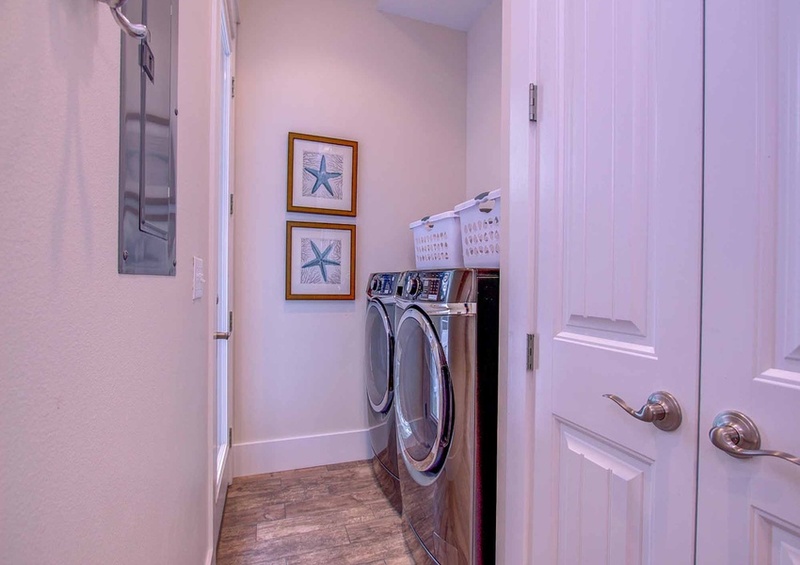 As an added bonus, both of these bedrooms have private, full bathrooms! 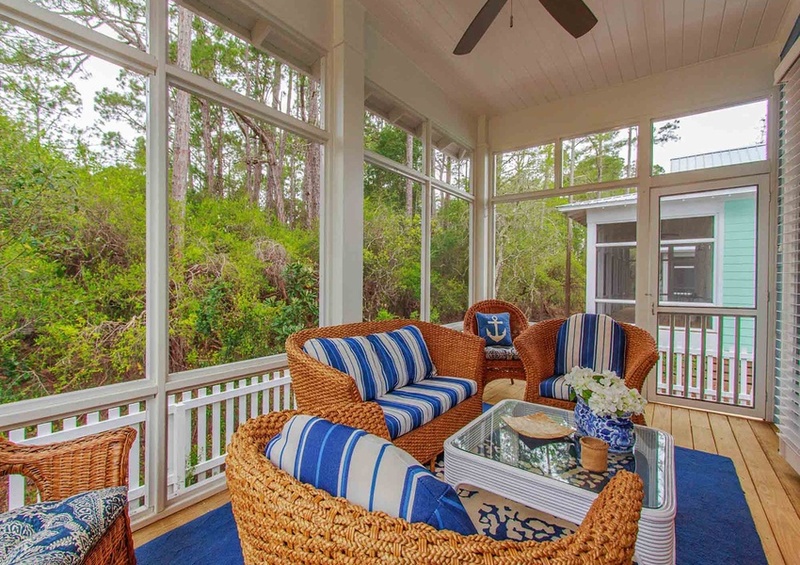 Knot On Call is also a short stroll to the pristine sugar white sand beaches. 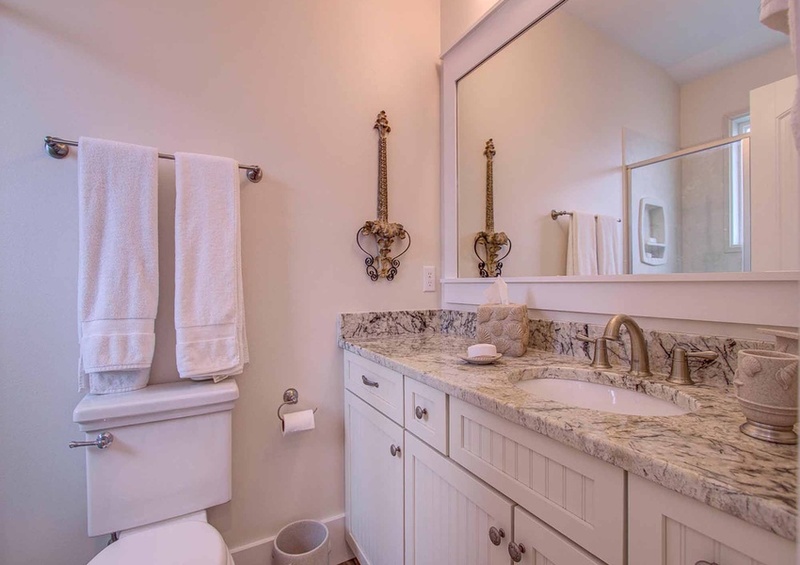 Located in Cassine Village you will escape the routine, play, and relax. 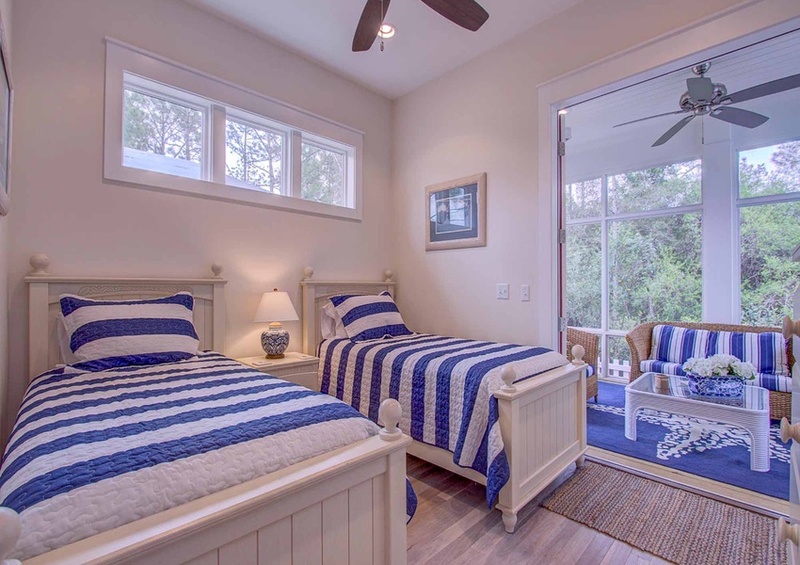 Enjoy the tennis courts and basketball hoop, then cool off at one of the two swimming pools. 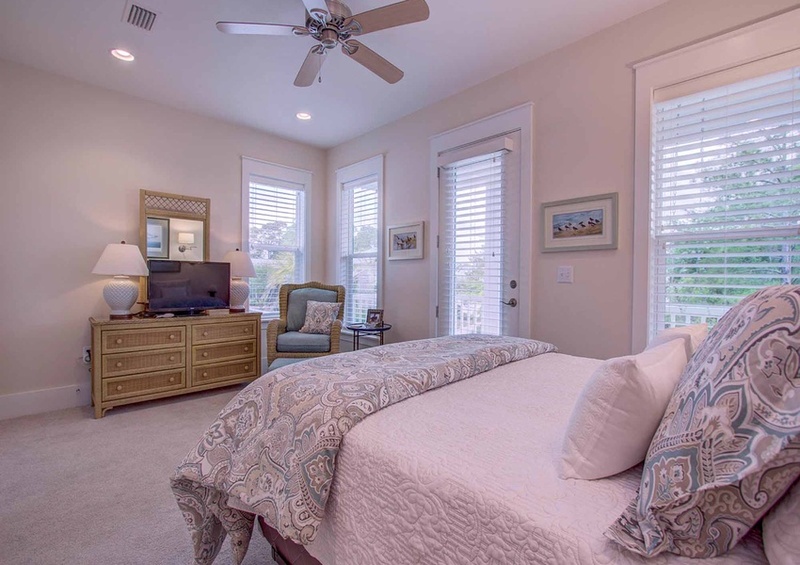 For the solace seekers, just across the street, you can leisurely walk through the nature garden with hiking paths, native plants, pond, picnic gazebo, and community barbeque grills. 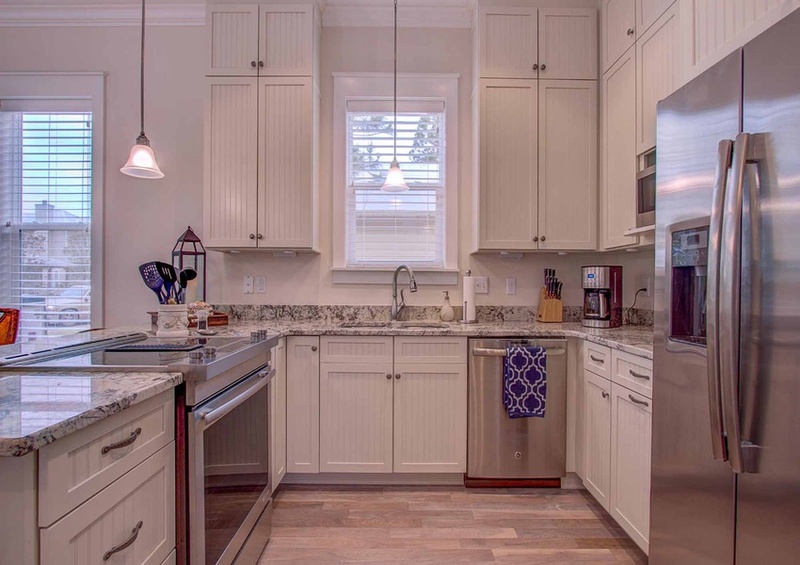 For the more adventurous guests, entrance to hiking trails and the State Forest and Eastern Lake is adjacent to the neighborhood and one block from the house. 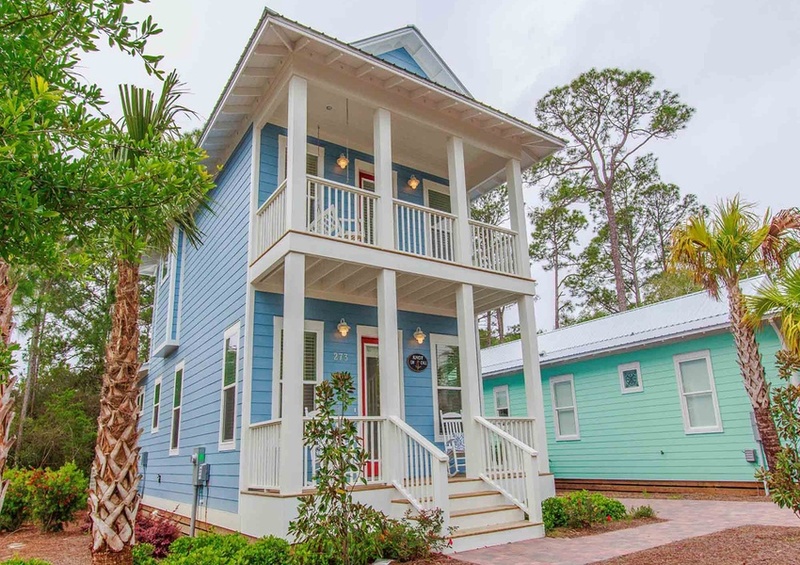 Of course, get out and explore all the things to do on 30A during your stay! 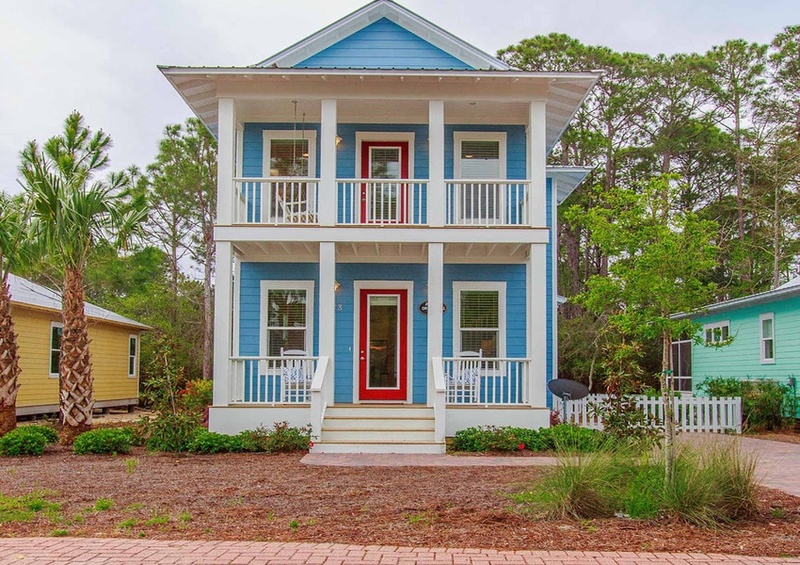 Our Gulf Coast Guide can help you find something fun to do in 30A.